In my dream I was gathering with friends at a Portland pub/restaurant. I usually feel connected to this group of women collectively and individually. For some reason I felt out of the loop all evening. When I arrived I had felt lucky to find a parking spot right in front of the restaurant. But as I left I couldn’t find my car. In talking with people I discovered that my car had been hit and then towed. Sounded like it was totaled. To make matters worse I was told that because of how the accident occurred I would be held responsible for the damages to the car. I felt alone in the process of figuring out where my car was, getting home to Salem, renting a car, etc. Even though I wasn’t consciously stressing I clearly had some unconscious stress. Do you ever tuck away stress only to have it give you a message you can’t ignore? Might come in the form of a dream like mine did. But you might find yourself grinding your teeth, feeling more irritable than usual, experiencing a headache or upset digestion… Your body will have its unique way to get your attention. While I’m figuring out what the dream is about (ideas?) I’m going to use some relaxation tools. One of the tools I’m pulling out is marjoram (Origanum marjorana) essential oil. A great relaxer, I like using it with or without lavender to help with sleep. Marjoram is a friend to the nervous system both relaxing and strengthening the nerves. But it’s not just the relaxation I’m seeking right now. Marjoram tenderly shines light on one’s shadow side. Once acknowledged it helps gently release fears and bring in new patterns related to the fears. To me it feels like a warm hug from a trusted friend. While a safe oil to use, marjoram is so good at its job as a relaxer that you want to be mindful of not overusing this oil. Too much can dull your passion and senses. If you end up liking this oil remember to take breaks from using it. 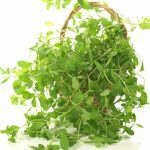 Have you tried marjoram? Do you have a favorite tool for releasing fear and unconscious stress?